The New 52 was big, vast in fact, and very expensive to buy in full. The entire period in DC Comic’s history is very interlinked but most graphic novels and collected editions do stand fairly well on their own. To help you navigate the New 52 here is my list of the top five New 52 graphic novel. Superman is an almost perfect being, with unlimited power and will, but in Doomed we see what happens when Superman becomes compromised by Doomsday. 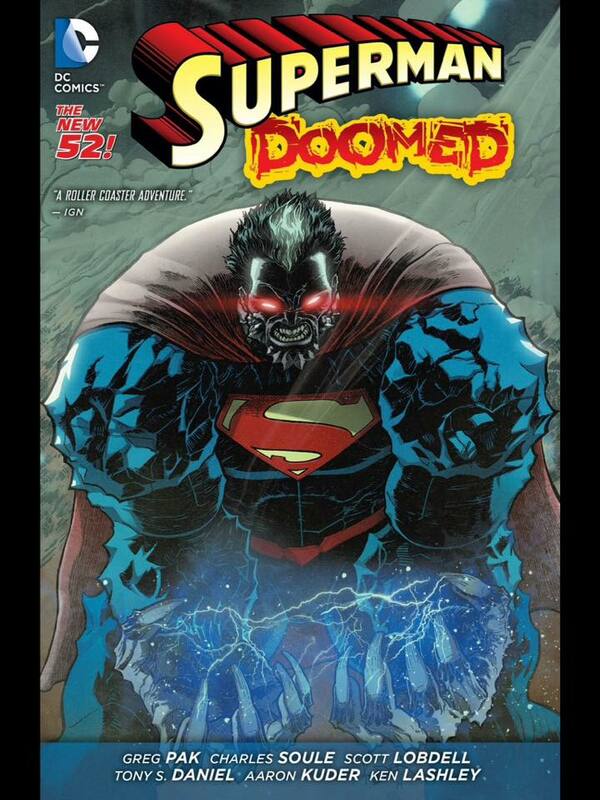 Superman is infected with a virus which slowly turns him into the monstrous creature Doomsday. The graphic novel collects issues from all of Superman’s various series and allows the reader to see the narrative for several different angles. It’s an absolute epic story and is well worth keeping an eye out for. Batman is strong, but he is nothing without the heroes around him, he is a leader and teacher for the Bat Family. 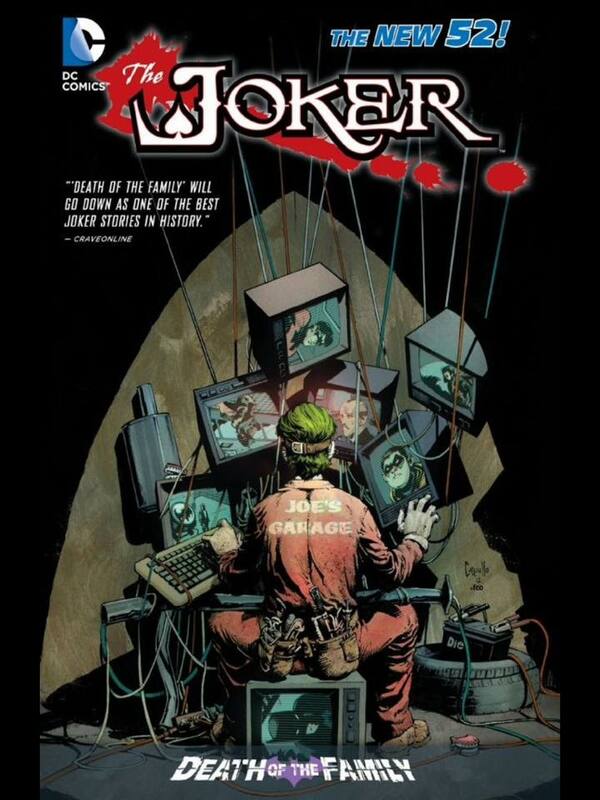 In Death of the Family Scott Snyder and company show us what happens when the Bat Family are turned against him and the Joker lays out all of the darkest fears in front of them. The Death of the Family arc looks at every single member of the Bat Family from Batgirl to Alfred. The only thing that holds this novel back for me is the high price tag, but if you can get the money together it’s well worth the investment. 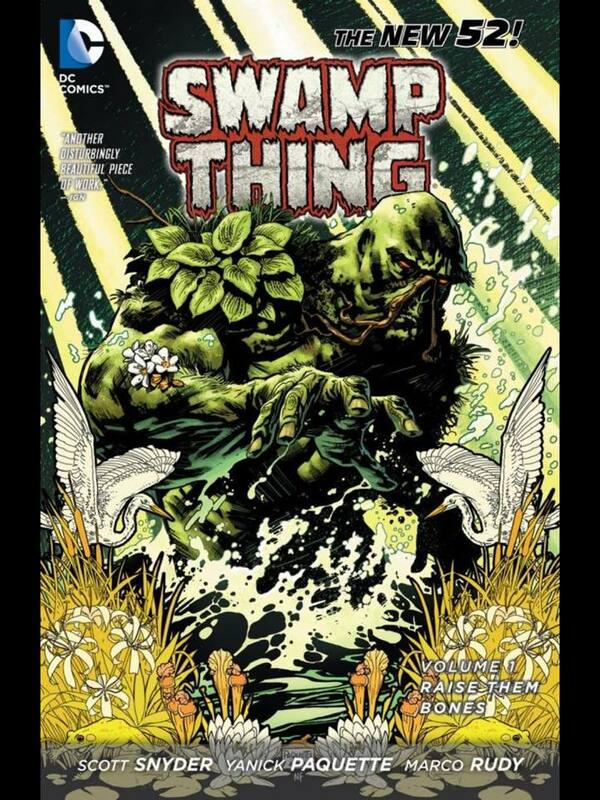 If the Batman series is Snyder’s blockbuster movie series then Swamp Thing is his little indie project on the side. In Raise Them Bones we are thrown into an urban fantasy as the avatar of the Green goes to do battle with the Rot. It’s a well written combination of action, horror and fantasy that is sure to have something for any fan of comics. Special mention also has to go to the art work throughout the book which is simply astonishing. 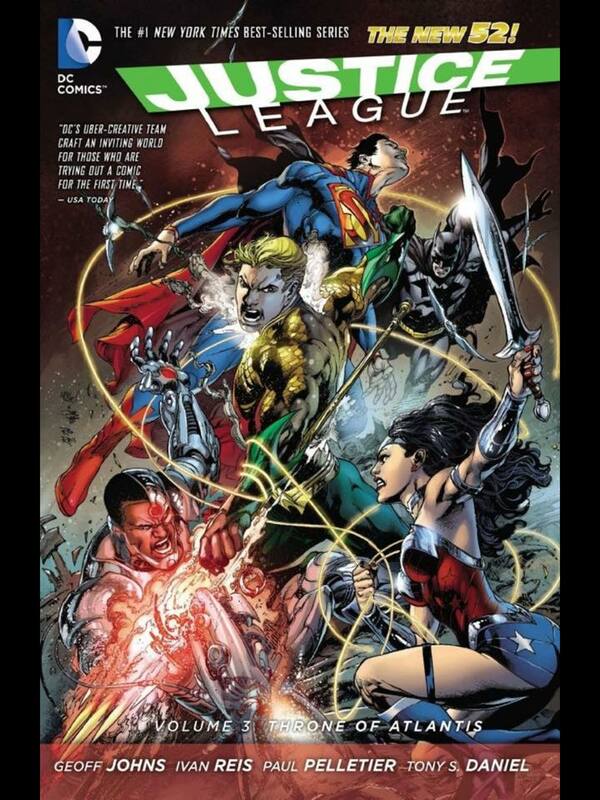 I want to recommend the entire Justice League series, but there simply isn’t space. In truth this spot should probably go to volume one of the series but I think Throne of Atlantis saga requires attention. Aquaman got a full redesign going into New 52 and The Throne of Atlantis really shows why he deserves it. The action is constantly building and every Justice League member gets a time to shine. The entire book is fit to burst with beautiful artwork that I can’t help but recommend. Yes, it is overrated, and Yes, it does have it’s problems, but I cannot deny that The Court of Owls deserves its status as the poster boy of the New 52. The piece stands as a brilliant example of a Batman story with all the detective work and psychological stylings that Bat-fans love. I have heard some people describe it as a marmite book, but my recommendation if you don’t like it is to look at the Dark Knight series and Detective comics as between the three all aspects of Batman are portrayed. 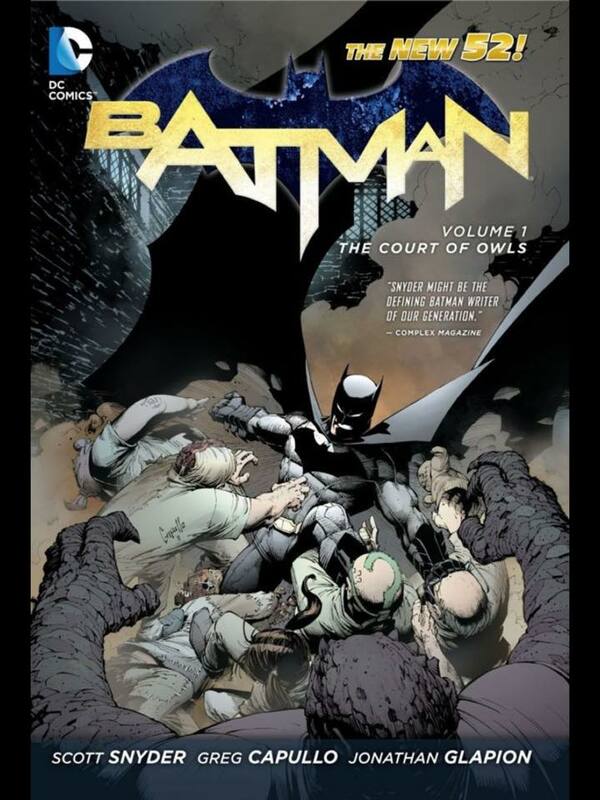 Still, even those who don’t like The Court of Owls must concede it is a great piece of fiction that is well written and adds a completely new dynamic to Batman and his relationship with the city he protects. If you want to know why the New 52 was so successful click here. Check back on Tuesday for my bottom five New 52 graphic novels. ← What Marvel Secret Wars Comics Should You Read This Week?